Super Jet Dishwasher Powder not only gets your dishes their cleanest, even in hard water, it’s also safe for the environment and easy on the family budget. It conditions and softens water and minimises hard-water and lime build up. It thoroughly cleans AT LEAST 25 to 35 loads of dishes, glassware, cutlery, plastic ware, pots and pans, or 40 to 70 loads OR MORE when used with the Norwex Magnet Ball, or a highly efficient dishwasher. It’s phosphate-free, fragrance-free and chlorine-free so it can’t harm the environment or impact waterways. Also, biodegradable, safe for septic systems, and non-toxic to aquatic organisms. NOTE: If dishes come out spotty, you may be using too much dishwasher powder. Try halving the amount you use. You will generally need more powder in hard water areas, but the amount also depends on your individual machine, so it is worth experimenting a little. 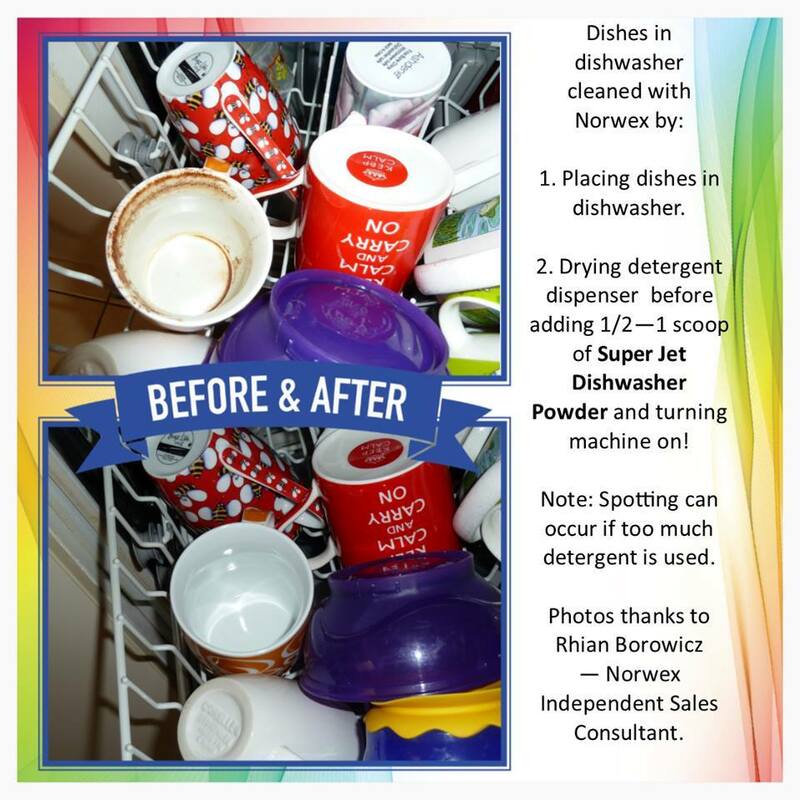 COMPLEMENTARY PRODUCTS: Norwex Magnet Ball to soften the water and at least halve the amount of dishwashing detergent required, and Norwex Dishwashing Liquid for a concentrated, highly-effective solution for washing dishes that is gentle on hands. You can buy Norwex Super Jet Dishwasher Powder online from me, in Australia. Or you can buy it in New Zealand here (from Louise Swart). If you are elsewhere, check Norwex.com to find a consultant in your country. Of course, if you already have a Norwex consultant, you can contact them directly to order.